We have finally figured out the difference between Super Chase. Well, of course, the card does say SUPER CHASE but it looks a lot alike the regular Cruz Ramirez as Frances Beltline. 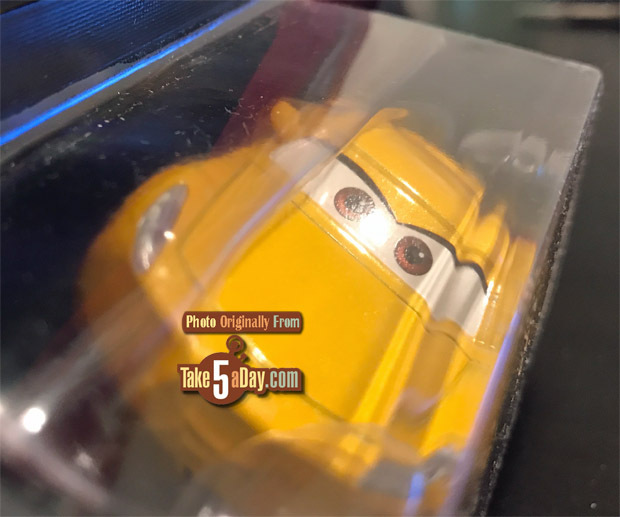 The difference is subtle but the dirt/mud covers up most of the Lightning 95 decal, she has a black line around the windshield and slightly darker eyebrows but otherwise, she is pretty much the same. Regular Cruz Ramirez as Frances Beltline. 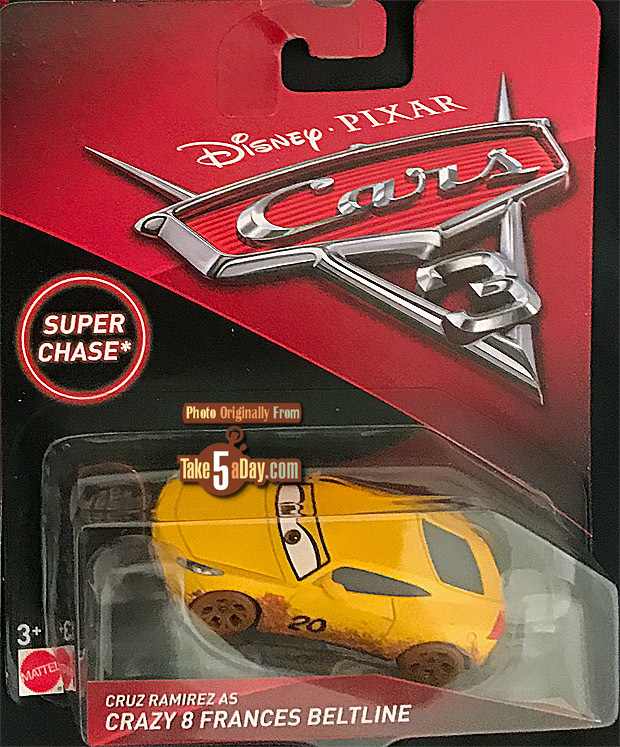 In the Thunder Hollow 5-pack from Walmart (at least in the one I bought) with T-Bone, Cruz in there has the black framed windshield making it look a lot like the Super Chase (minus the extra mud and texture of course). 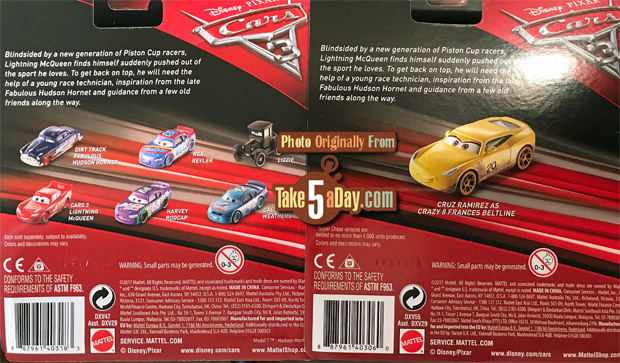 I see in some of the 5 packs, and in the single, they don’t have the black framed windshields. The Super Chase is an all new body casting, really. 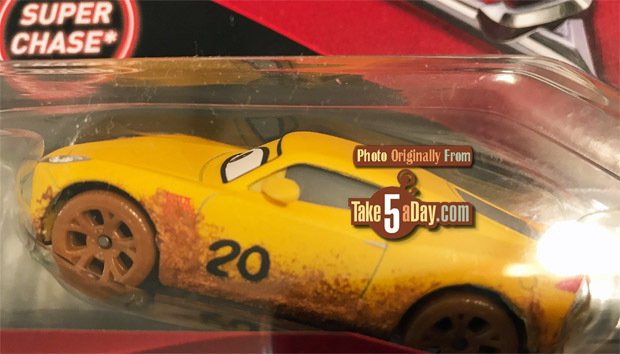 The lower edges of the quarter panels and sills are ‘bumpy’ (textured) for mud on the Super Chase. The paint is also overall matte, whereas the regular Frances is glossy. The SC wheels are also the same ‘bumpy’ texture. You almost have to feel them to “see” the difference. I don’t see it as a new casting. Do you have side by side pictures proving the differences? 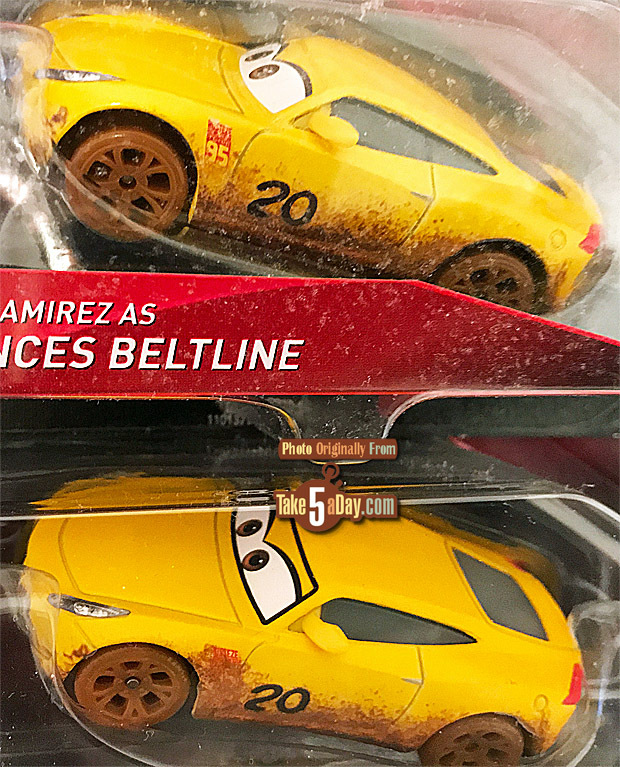 The Walmart 5 pack with the matte finish and the black lines outlining the eyes is almost identical to the Super chase other than some extra mud. I’ll get some pics later today — but as noted, you almost have to feel the two castings. The SC is textured on the surface, and it isn’t just thicker paint application. It’s more like what they have done for some of the lemon cars with rust texture. Also, the tires are ‘bumpy/pebbled’ as well. Did you post the pictures?